No more apostrophes, remember the Cee’d? And no need for gimmicks. 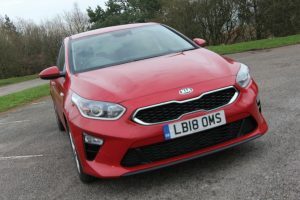 If anyone still harbours any doubts about Korean built cars then the latest Ceed from Kia should dispel those anxieties immediately. Cover up the badges and it would flummox a new buyer. This is an excellent car, thank goodness. I say thank goodness because I drove to the Autosport International Show at the NEC in Birmingham last week. Not only that, I drove down on the Wednesday night ready for an early start Thursday, but that was the evening the Polis decided to shut the M6 South and North bound to deal with a truck full of illegal immigrants. 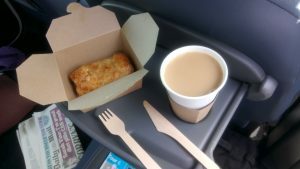 The run south was uneventful and included the obligatory stop at Tebay for a sausage roll and a tea. A proper sausage roll with real meat inside, not just a pale looking meat paste substitute. Try it some time. Back on the Motorway, my heart sunk when I spotted the overhead early warning signs advising that the road was shut between junctions 16 and 15. According to the Radio, it was a ‘Police incident’. That could mean only one thing – a prolonged closure. On that basis I deduced that junction 17 would be busy as southbound travellers sought to beat getting stuck so I chose to go off at junction 18. I further deduced that to try and pick up the A34 running parallel with the M6 on the east side would lead to more clogged roads and traffic jams, so I opted for a more ‘rural route’ to the west of the motorway picking up the A54 to Middlewich. The run down the A533 to the village of Sandbach took me past a stretch of the Trent and Mersey Canal which was a bit disconcerting when I noticed a line of canal boats above me! Considering the canal had been built well over 200 years ago, you kind of wonder just how strong the embankments are when travelling alongside them and looking up at boats! There was no breach and I didn’t drown, so met up with the M6 again at Stafford reaching my hotel some half hour later than planned. It was whilst negotiating some single track country roads with passing places that I realised my map reading skills were a mite rusty these days. That meant the Ceed needed some stimulus from the 6 speed ‘box to keep the average speed up. 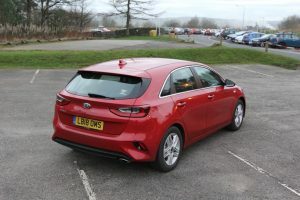 With a mere 114 bhp on tap it was no road-burner, but it was certainly competent. It’s also worth noting that the Ceed was not fitted with the latest hi-power LED ‘dazzle all oncoming traffic’ headlamps, but what it had was perfectly adequate for hedge lined, narrow roads. It just goes to show that you don’t need the complex ‘intelligent’ lighting systems so beloved of some of the executive car manufacturers these days! OK, so the route was a bit circuitous, but at no point was I stopped and just kept moving unlike those poor sods stuck on the Motorway which was shut for 5 hours before it re-opened. Breakfast was followed by a quick trip in to the NEC before the run back up the road that evening. At no time did I feel the need for more power. 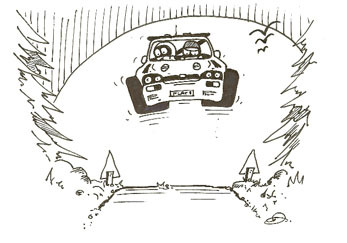 The car cruised comfortably at the speed limit but on some of the steeper sections through the Lake District, 5th gear, and the occasional use of 4th, was required. 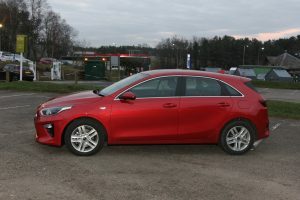 However, the bonus was an average fuel consumption of 68 mpg for the round trip. No bad, eh? 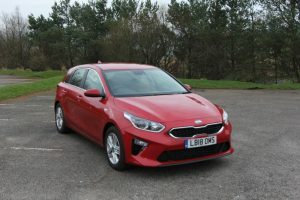 At just under 20 grand, the Ceed is a wee bit pricey, but you get a lot of kit for the money including a 7 inch touchscreen display with a six speaker audio system and smartphone connectivity. The dual height boot-floor was ideal for hiding overnight, computer and camera bags and all the other gubbins under the parcel shelf but there was no need for snow shovels and wellies this year! The seats were comfortable, it was roomy and it was quiet, and it comes with a 7 year Warranty. What more does the average car user need? I really liked it.